Bell Bridge Books, 9781611941623, 244pp. "A wonderful combination of romance, family drama, and out-and-out thriller." "Complications here go beyond the usual hurdles and make the romance more touching for being hard won. And if the main action-Laura and Jake must combat terrorists amassing anthrax in the Florida Everglades-seems far-fetched, just read The New York Times." A deadly terrorist attack is taking shape deep in the Florida swamps. It's Jake Taylor's job to stop it-and to rescue his wife from the perpetrators. Laura and Jake Taylor have good reason to doubt they'll live a long, happy life together. He's a Special Ops soldier; she's a former Special Ops intelligence officer. She has an insider's knowledge of the risks he takes. Their marriage began as a practical arrangement: he needed to keep his young son out of the clutches of an unstable ex-wife. Laura knows better than to fall in love with her husband. Jake agrees-odds are, he'll never return from the next mission. But when the dangers of his world engulf Laura, both find themselves fighting for their lives as well as for their marriage. 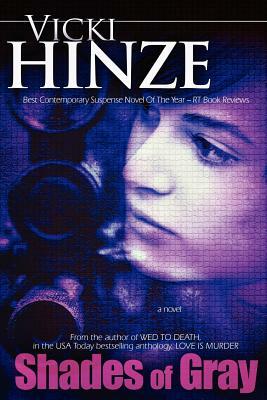 Vicki Hinze is the award-winning author of 28 novels, 4 nonfiction books and hundreds of articles, published in as many as sixty-three countries. She is recognized by Who's Who in the World as an author and as an educator. Visit her at www.facebook.com/vicki.hinze.author.